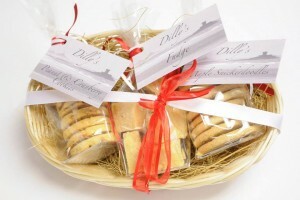 Dilly’s Cookies is a delicious range of biscuits and treats created by Dilly Percival. Dilly has a lifetime of experience and enthusiasm for baking, and was kind enough to tell us about the journey that led her to start her own business. 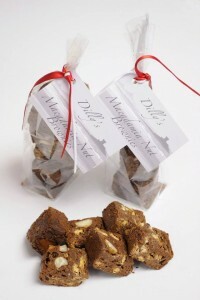 My name is Dilly Percival, I set up Dilly's Cookies to sell my own range of cookies, brownies, fudge, shortbread and a Canadian treat called Maple Snickerdoodles. Recently, I have added several new products including Classic Herd Cheesy Nibbles, Old Fashioned Macaroons and Florentines. My interest in baking began in childhood. My father was the Channel Island rep for Rank Hovis and he would often take me to visit the numerous island bakeries. Later, I trained as a chef at Highlands College, and then moved to the UK to study Bakery and Confectionary in Salisbury. I had an apprenticeship at Weeks of Goudhurst in Kent, who were suppliers to Harrods, before moving on to become the foreman at the Catlin Brothers Bakery in Grantham. This was followed by several years as a Bakery Manager for Sainsbury’s. After returning to Jersey with my young family, I decided on a career change and became a swimming instructor. I still baked at home, and every Christmas would make hampers as gifts for my friends and family. These became so popular, that I began to think about starting my own business. 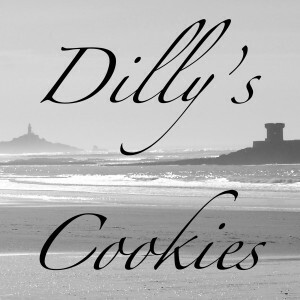 In April 2013, I took the plunge and created Dilly’s Cookies. My products were quickly noticed by Jane James, who stocked several of my lines in her shop in Gorey. Interest in my baked goods has grown and more shops now stock my cookies, including The Classic Herd Farm Shop in St Peter. I created a special line for them called Classic Herd Cheesy Nibbles, using the farm’s own cheese. Another stockist is Big Maggy’s Cycle Shop in St Helier, who sell a flapjack which I created especially for their customers. My Maple Snickerdoodles came about when I was trying to find a present for a Canadian friend, and made my own version of the Canadian treat. 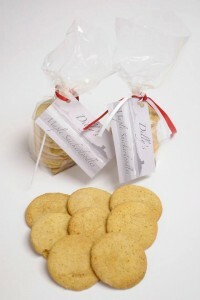 They are a light, sweet biscuit with a hint of maple flavour and are very more-ish! The most popular products that I make are my Macadamia Nut Brownies and my Fudge, but my personal favourite is my new Chocolate and Butterscotch Cookies which are both crispy and chewy and very delicious! 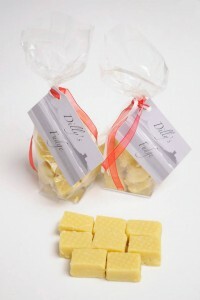 Keep up to date with Dilly’s new products by “Liking” her Facebook Page here.